Recently, I wrote a guest post for She Reads about how, when I was a little girl, my grandmother lived in a small town in Malaysia opposite a cinema which showed scary Chinese movies. We children were not allowed to go and watch them, although from the front window we could see people lining up to buy tickets. Instead, we could only stare longingly at the vividly coloured, giant billboard and wonder what the shows were about. A prime example of the kind of lurid film we were not allowed to watch. While I was writing my She Reads guest post, I thought of lots of additional things I wanted to share about old Chinese movies, and so I decided put them into this companion post instead. In those days cinema billboards (or hoardings, as they were called) were an art form. They were so gigantic that they were hand-painted, using the old “copy by squares” method. The most thrilling part was to watch as an old billboard was taken down and a new one put up and painted in place, usually within a day. I always marveled at those billboard painters, who took great pride in their work. This is THE Chinese ghost movie with Leslie Cheung and Joey Wong that later spawned several sequels. Of course, not all of it was good. Sometimes film stars ended up looking rather squashed and distorted. And the colours were often quite garish, which somehow added to the allure. To this day I can’t look at this kind of cinema poster without feeling a certain nostalgia and powerlessness. It reminds me of late afternoons, when the smell of dinner cooking would permeate my grandparents’ shophouse, and that feeling of childhood boredom and despair when you and your siblings/cousins are all reduced to hanging out of the upstairs front window and staring at the movie billboard opposite. The classic open door pose. We kids used to copy this stance when entering the front door. For some reason, that cinema showed a lot of B-rated Chinese horror movies, and the ensuing lurid billboards were both fearful and enthralling. One of them, I recall, was about a ghost who removed one eyeball and rolled it down the corridor. At least that’s what I surmised, since we never got to see it. 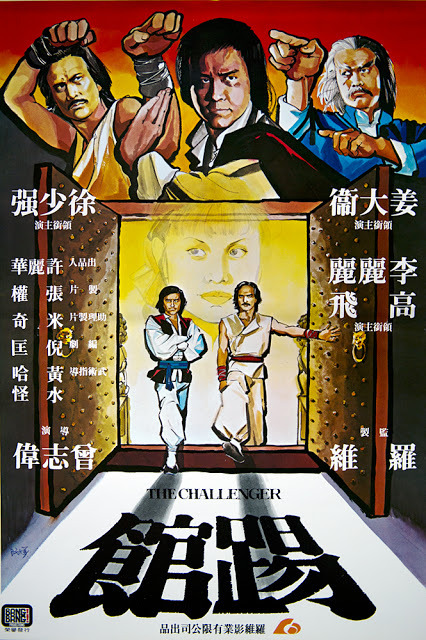 It also showed a lot of kung fu movies, gangster flicks, and romantic comedies. While looking for examples of movie posters from that era, I was struck by the bouffant hair and soft looks of many of the stars of my childhood. People like Chow Yun Fat 周潤發, Leslie Cheung 张国荣, Cherie Chung 鍾楚紅, Anita Mui 梅艷芳, Maggie Cheung 張曼玉, and Do Do Cheng 鄭裕玲 (wow, this really dates me!). In contrast, celebrities today sometimes resemble impossibly slim, muscular cyborgs. If you’d like to read my guest post for She Reads, they’re also sponsoring a giveaway – a signed copy of The Ghost Bride. Hop over to check it out and enter to win! 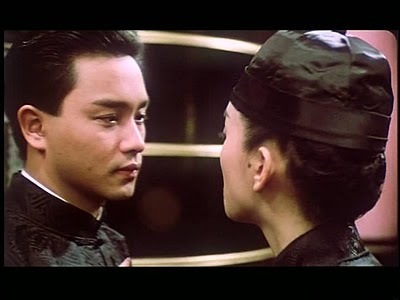 Leslie Cheung and Anita Mui in “Rouge”. An arthouse take on the Chinese ghost story. “Rouge”, the 1988 Hong Kong ghost movie starring Leslie Cheung and Anita Mui, two of the biggest Hong Kong stars at the time. 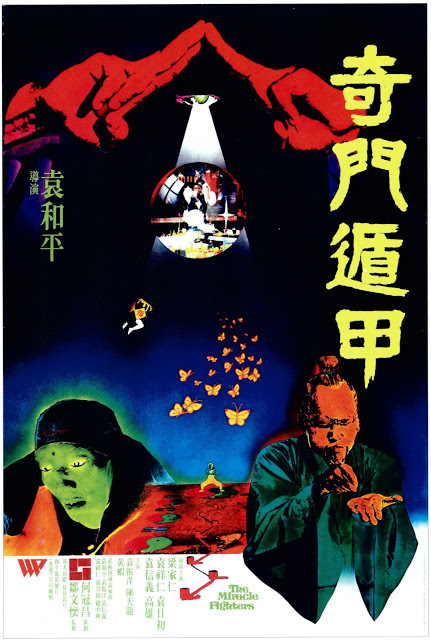 This was one of the first arthouse Hong Kong ghost movies (as opposed to B-movies and horror comedies), and I remember being struck by its sense of nostalgia for a time that I never knew. Leslie Cheung and Anita Mui sang and cross-dressed, which in retrospect, held a lot of nuances (Cheung had not come out yet about his bisexuality at the time). I wonder whether the movie was more meaningful to me then because of the Cantonese background, and whether someone from a different culture would merely find it slow moving and unintelligible? Won tons in soup – the classic Cantonese little soft dumplings made of pork and shrimp, that are often compared to swallowing clouds. Hong Kong milk tea (奶茶) – very strong black tea sweetened with condensed milk. Photo credits: All movie posters from http://hkmovieposter.blogspot.com/, with the exception of “A Chinese Ghost Story” (http://mutantville.com/blog/a-chinese-ghost-story-1987-sien-nui-yau-wan) and the movie still from “Rouge” (http://www.apessimistisneverdisappointed.com/2011/04/leslie-cheung-1956-2003.html). What old movie posters do you particularly remember? Nice entry – They really thought about composition when designing those posters! It’s basically a lost art form, except perhaps in Bollywood? I was living in Taiwan at the time and usually Hong Kong movies turned me off and they were always too comedic for my tastes, but this is one of the movies that changed that for me and I like Hong Kong movies now. I remember the old Hong Kong movie stars. I miss them so much! The new movie stars are okay too I guess but there’s just something about Joey Wong and Brigitte Lin.